Ukrainian people raised flags outdoors. Patriotic people waving with Ukrainian flags, rear view. Independence Day in Ukraine. 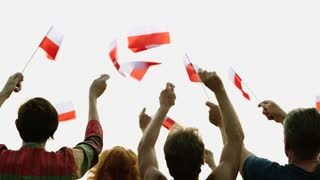 Patriotic Polish people holding flags outdoors. 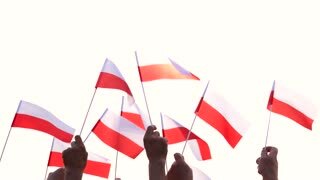 People raised flags of Poland. Concept of Polish patriots. German patriots with flags outdoors. Patriotic Deutsch people waving with small flags. 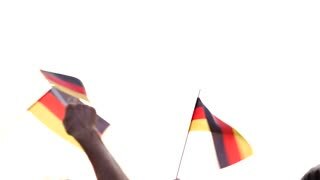 Day of German Unity Celebrations. 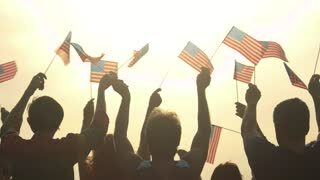 People with American flags at morning sky background. Patriots celebrating the Fourth of July. Independence Day concept. Polish patriots waving with flags outdoors. Hands of people holding Poland flags, rear view.